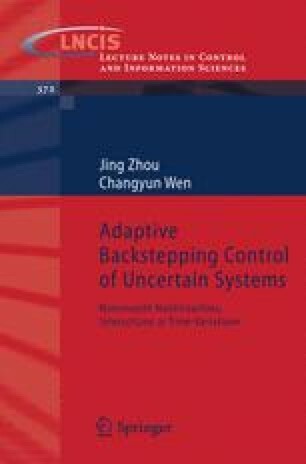 In this chapter, we present two adaptive backstepping control algorithms for a second-order uncertain hysteretic structural system found in base isolation scheme for seismic active protection of building structures. The hysteretic nonlinear behavior is described by a Bouc-Wen model. It is shown that not only stability is guaranteed by the proposed controller, but also both transient and asymptotic performances are quantified as explicit functions of the design parameters so that designers can tune the design parameters in an explicit way to obtain the required closed loop behavior.